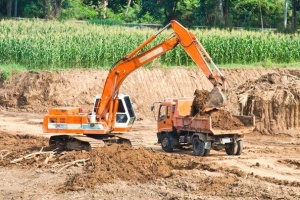 Dirt Connections offers services such as Sterling, VA fill dirt delivery directly to your construction or job site. Whether the scale of your project is large or small, we’ve got the skills and expertise to ensure that you are always provided with the amount of free fill dirt needed to complete your project’s needs on budget and on time – leaving you with less details to worry about. 7 Schedule a Free Dirt Delivery in Sterling, VA! Fill dirt is a necessity with any construction project that involves breaking any kind of ground. The use of fill dirt is a must for anyone looking to make sure that their construction project has enough material to build on. Landscaping, developing, construction, and remodeling projects often use fill dirt for leveling off land for foundations, filling in holes, as well as stabilizing roadways and shoulders. Not just any dirt is suitable for use as fill dirt. Fill dirt is subsoil characterized by having little to no organic material often found in topsoil, which is prone to causing collapsing and breakdowns from decomposition of organic material inside. Dirt Connections is capable of delivering fill dirt to any size of project in Sterling, VA. 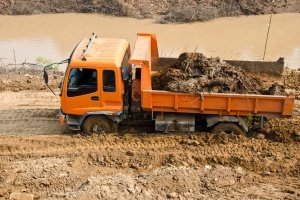 Dirt Connections has the right experience, knowledge, and resources needed to ensure a successful and satisfactory dirt delivery and removal job each and every time. We’d be happy to be a part of your next project. Although we do apply delivery fees based on location proximity, required materials, and customer needs, we are proud to offer Sterling, VA fill dirt delivery to your site for free when you order ten loads or more. This can be an effective way to save money on your project while receiving quality materials necessary for your job’s success. One thing that we do require before a delivery is a proper inspection of your projects site. This is to ensure safe delivery along with order accuracy. This inspection is always free, and we do ask that the site’s owner or agent be on site during inspection, along with giving the authorization beforehand. Construction projects big and small almost always require some level of excavation. This often results in having extra dirt leftover, which can be a lot to deal with on your own. Because of this, we offer dirt removal services that quickly and efficiently removes any excess or unwanted dirt from your job site. Quality fill dirt can turn your project’s foundation into a stable and secure one, while also filling holes and leveling off terrain for your property’s landscape. We make the process as easy and affordable as possible while delivering free fill dirt directly to your job site in Sterling, VA – on schedule and under budget. Dirt Connection’s complimentary site safety inspection will allow us to determine where you want your dirt unloaded and when you need it delivered. When you’re ready, we are able to remove all excess dirt from the premises to leave your site clean. Dirt Connection’s services help you to leave guesswork out of all of your needs for fill dirt. Running out of fill dirt during a construction project can be a big hindrance to your task that causes unnecessary delays, and can even result in wasted money. To avoid such a situation, it’s best to take a proper measurement of the area you are working on beforehand to ensure that you have enough fill dirt. Measuring your construction area depends solely on the shape of the are being worked on. For a rectangular project, measure out its three length, width, and height dimensions, and convert the result into cubic inches. This is the most efficient way to do so, as it can easily be converted into the cubic yards that make up how it is usually sold. Follow this by multiplying the length by the width, and the result by the height. This final number is how many cubic inches of fill dirt is needed for the project. Rounded and Circular areas are slightly more complicated to measure. Begin by measuring the diameter of the area, and then its depth, and record both values once again in inches. The correct volume is found by multiplying pi (3.142) by the radius squared and then by the depth. Schedule a Free Dirt Delivery in Sterling, VA! Dirt Connections’ experienced team has the fill dirt you need for projects of any size and scale. Our reliable Sterling, VA fill dirt delivery services will keep your project running smoothly while reducing your expenses. Give us a call or send us a message online today to discuss your project’s needs, or to schedule the convenience of free dirt delivery after our free site safety inspection.